Content is everywhere. In fact, one of the first guests on our podcast, The Demand Generation Show, Trish Bertuzzi often calls it the new spam. I don’t know about you but that sounds gross to me. 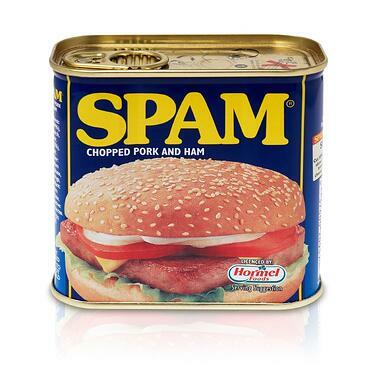 (I still picture canned meat when I hear spam – no matter the context.) Joking aside, if content really is the new spam, what does that mean to your overall strategy? At the end of the day, the purpose of content is to drive lead generation and engagement which ultimately drives revenue. Its role is very important in any demand generation approach. If it fails, the top 2/3rds of your funnel suffer and the effects are felt throughout your entire revenue generation effort. So 84% of those surveyed are spending significant time and resources to create product brochures. As an overall skeptic of the effectiveness of product and corporate brochures on lead generation, I wondered (and the study answered) what percent of those marketers thought those brochures were really delivering on leads. That to me is scarier than meat in a can. How can marketers continue to create content – and loads of it – when many (when asked) report that they do not know whether or not it is creating leads? 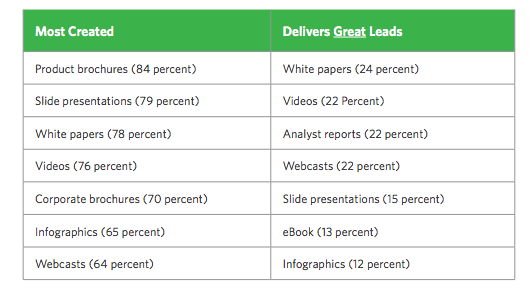 Know how to select content types that will drive leads for their organizations. Know how to then measure whether or not that content really is generating leads. Invest in creating the content types that work – and not the types that don’t. Content must impact lead generation. Here are five tips to help you evaluate and/or improve your results. Yes. Again. Buyer personas. If you read our blog regularly, you know that we believe that truly understanding your buyer personas is one of the keys to demand generation success. When you’re building your premium content plan, it is important that you use your buyer personas to guide your decisions. The first thing you need to know is what challenges are impacting your prospects. What keeps them up at night? Select your premium content topics based on that information. Next you need to decide how to deliver your teaching point-of-view on those topics. Is it through whitepapers, ebooks, case studies, infographics, video, blog posts, webinars, etc. In most cases it will be a combination of the above – especially if you’re just getting started. As you publish more content, you’ll be able to analyze results and see what content format your personas prefer…which brings me to my next point. Whether you’re just getting started or if you’ve had an inbound marketing approach for a while, it is imperative that you know where your leads are coming from. If you’re using a marketing automation platform like HubSpot, you can run reports or maybe even look at your dashboard to find out where the majority of your leads are originating. For example, at Imagine we use HubSpot. For the month of January, I am able to quickly see which of our offers drove the most leads with two clicks. The results show that in January, our ebook about lead nurturing converted 41 leads. A whitepaper about managing inbound leads converted 30 leads. 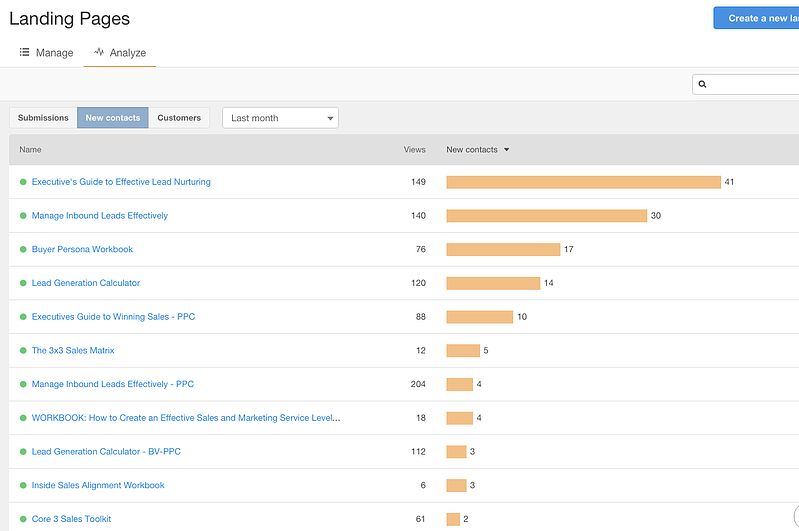 The other content types that performed well during the month were workbooks, calculators and toolkits. If I were to make more long-term decisions about content types, I would look at quarterly or six months worth of data to confirm or deny that ebooks and whitepapers are the preferred type for our buyer personas based on the number of leads generated by each type. Use the capabilities of your marketing automation software. Find out where your leads are coming from and adjust accordingly. Creating content in a vacuum without the input of the rest of the revenue generation team will yield few leads. According the CMO report, thirty-eight (38) percent marketers who indicate they have high-performance content engines are total partners with their sales and business development teams. That means they work together to create content that will drive leads using the experience of everyone – not just marketing. If you’re struggling to create alignment with your team, here’s our workbook on creating sales and marketing SLAs. It will be worth your effort. Many marketers use the same content in their lead nurturing efforts that they use to attract prospects to the top of the funnel. For your content to be effective and eventually turn your leads into actual revenue – which is the true measure of the success of your efforts – create content for every phase of the buyer’s journey and marry it to your lead nurturing efforts. As your prospects progress on their journey, a high level piece of content (doesn’t matter what type) becomes irrelevant to them. Make sure your content plan addresses every phase and is used appropriately. It’s not enough to just create the content. If it is going to generate leads, it has to be distributed. Find out where your buyer personas are – LinkedIn, Twitter, Facebook – and use social media to promote your content. Also look into publishing partners and syndication opportunities. Writing blog posts, for example, and publishing on LinkedIn or through syndication sites like Business 2 Community can have significant impact on the lead generation power of your content. Content is the fuel that powers inbound marketing efforts. Understanding its effectiveness and how to improve it will have a significant impact on your overall demand generation success.